Accept Checks by Phone, Fax or Web! Receiving Check Payments has Never Been Easier or Faster! into printer, print and Deposit! 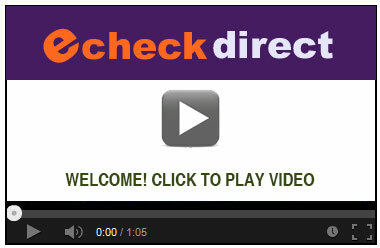 eCheckDirect makes it possible to accept checks by phone, fax or web - all using an economical and secure payment method. 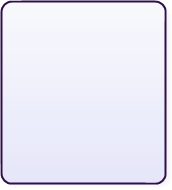 We make accepting checks by phone, fax or web faster than accepting credit cards, or ACH...and its cheaper too! With eCheckDirect, you receive immediate payments for goods and services by printing a check on your customers behalf from your local computer. Our system is easy to use, secure, and comes with a 30 day free trial. Improve sales today by being able to take a check by phone, fax or web. How Does Checks By Phone, Fax, and Web Work? Many companies are now taking advantage of the check processing technology that the phone and utility companies have been using for over a decade. Our service makes it possible to turn check by phone, fax or web into a economical and secure payment method. eCheckDirect.com makes accepting checks by phone and check by fax cheaper and faster than accepting credit cards or ACH.